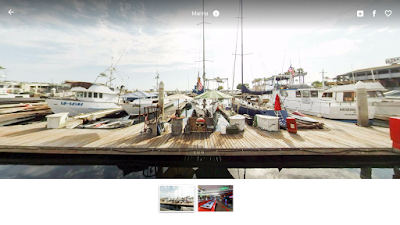 There are now many apps and websites for sharing 360 photos and videos, and even some that support 3D 360 videos. But as of July 2017, there are still very few ways for sharing and viewing 3D 360 photos. Here are some of the ways to share 3D 360 photos, and a couple of sample 8K 3D 360 photos from the Insta360 Pro. This app can play photos and videos in several formats, including 3D 360 photos (note: I also tried it for 3D 360 videos and I could hear the sound but I couldn’t see the video). What I like about this app is its simplicity. Thank you very much to Mohamad Aly (360digitalprojects.com) for letting me know about this app! Mobile VR Station is an iOS app that can play photos and videos in several formats, including 3D 360 photos. It takes a few steps to setup but the interface is very polished, with many customization options and is well thought out. One thing I like is that you don’t need to use a Cardboard with a button, nor do you need to tap on the screen — you can select an option by gazing at it for a few seconds. Both Samsung Gear VR and Oculus Rift can download the free Oculus 360 Photos app. With the app, you can search for “My Photos” and select the 3D 360 photo from your phone (SD card supported as well) or hard drive. One thing I like about this option as that with the 2017 Gear VR, I can use the remote control to navigate easily. One thing I don’t like is that every time I use it, it seems it has to scan my phone and rebuild the library of photos, which can take a few minutes. 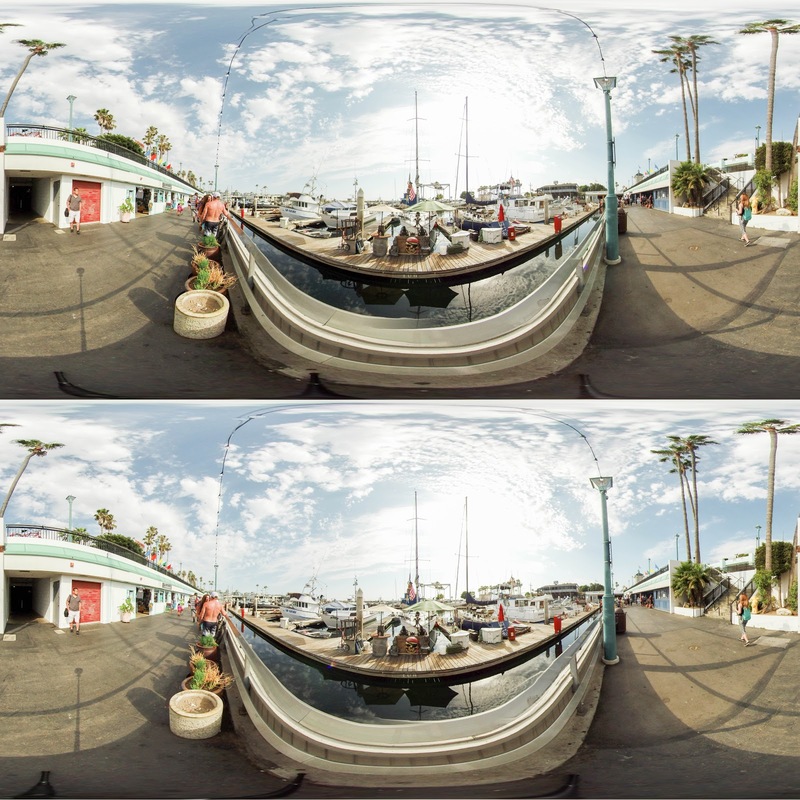 Gala360 is an app for sharing 360 photos. It is intended primarily to showcase locations. You can add narration to your photos. It also has a simple interface, and the fact that you can upload via desktop is nice. 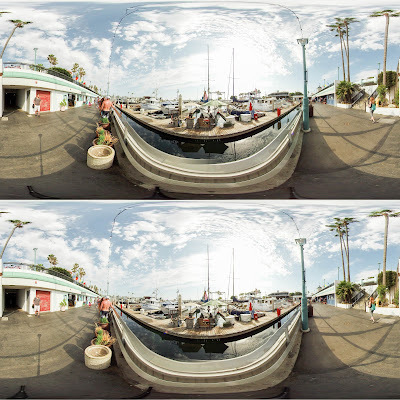 Although Gala360 is intended more as a 360 magazine, it can be used indirectly to view your 3D 360 photos as well. (Note: this is a workaround and not what the app was designed for). 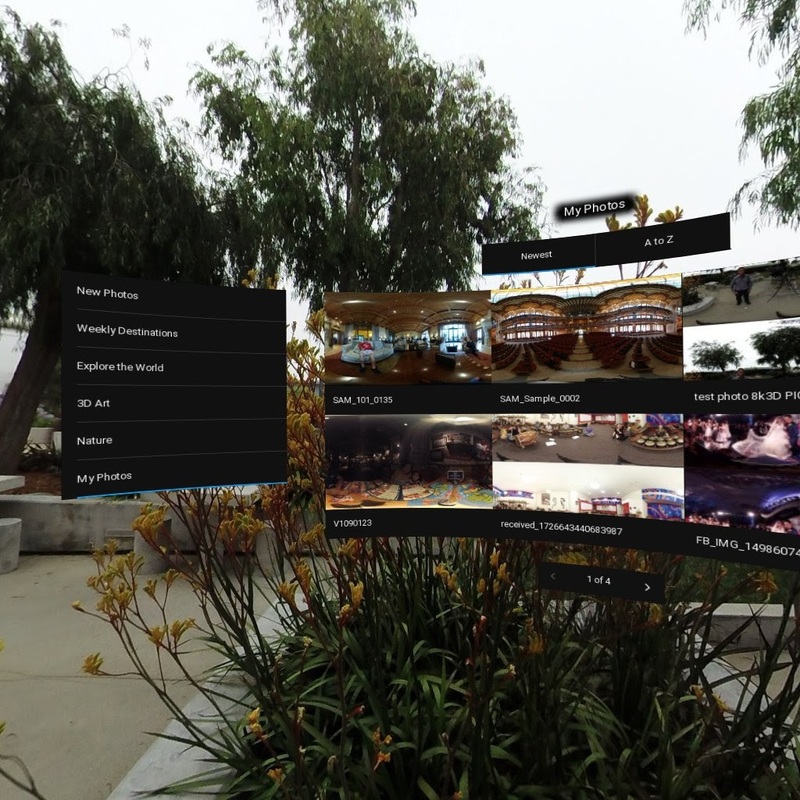 To view a photo that you uploaded on the browser in 3D, you need to use the Cardboard or Gear VR app. From the app, you need to click on the “travel the world for $1/mo,” then click on the “story lab.” You can see all unpublished photos in the lab (note: you don’t have to pay $1). 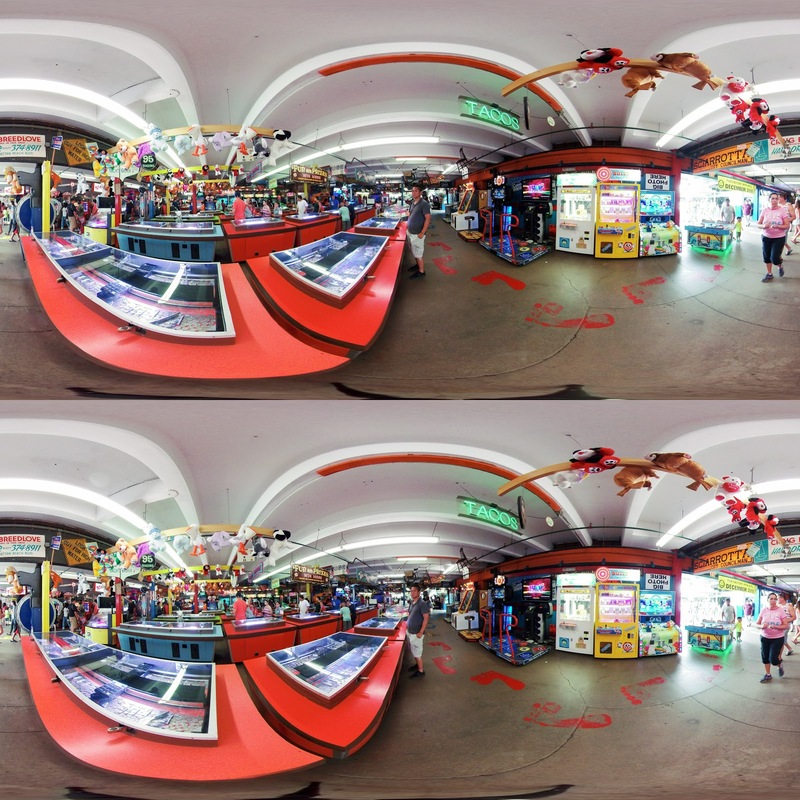 You can download my sample 3D 360 photos from the Insta360 Pro here (only to view, and no other use or license). For the shot of the Marina, I included unedited samples stitched from the camera and unedited samples stitched on the desktop with both options: optical flow and scene-based stitching (i.e., template based stitching). Here is the version on Gala360 (you’ll need to use the Android or Gear VR version for 3D and note that the Gala version is limited to 6K). In addition to the original files in the link above, here are versions I uploaded to Google Photos (therefore compressed and NOT the original quality). 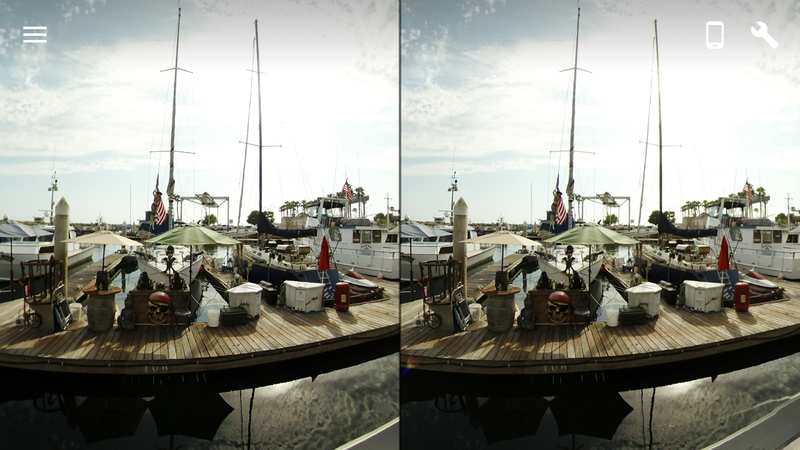 One thing I like about VR VIDEO PLAYER is its support for normal 3D photos. It is the only mobile player I have seen that allows zooming in and out to project them like a giant poster. 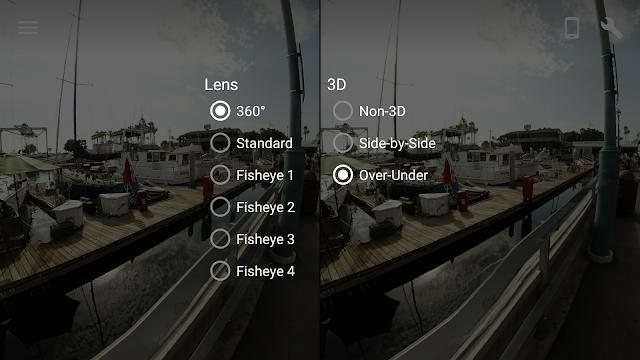 Sadly every Gear VR app I have found only supports 3D videos. I wish all of the options available to videos worked for photos… I would love to see the Gallery app support 3D photos the same way it does videos. Im a bit confused: These are apps but the 3d photos I create are on my desktop. How to I upload them to be seen on the app or where anyone else can see them?